If you run a Phase 1 clinical trial site and want to explore the option of running your trials using a simple EDC system, we want to hear from you. ITClinical's EDC Phase 1 module can help your team be more productive. Our experience with Phase 1 sites in Europe and America has enabled us to deploy solutions tailored to the site's needs. Please contact us with your needs and we will work with you to achieve your goals. 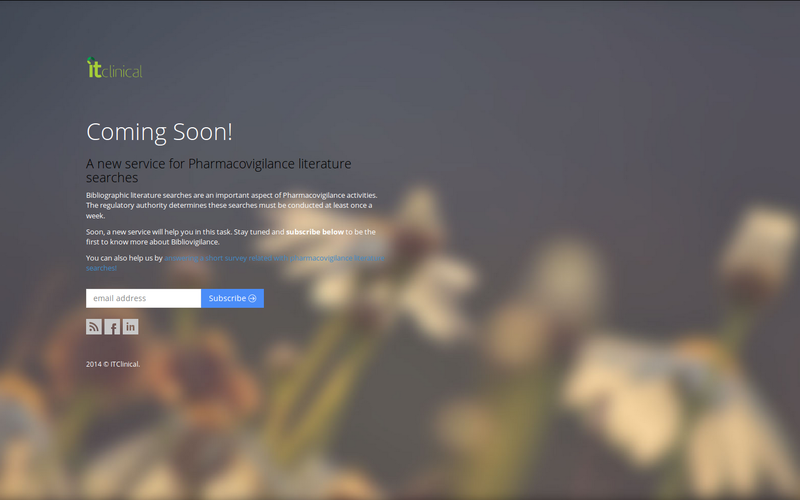 Bibliovigilance is a new service aimed at streamlining literature searches in pharmacovigilance. 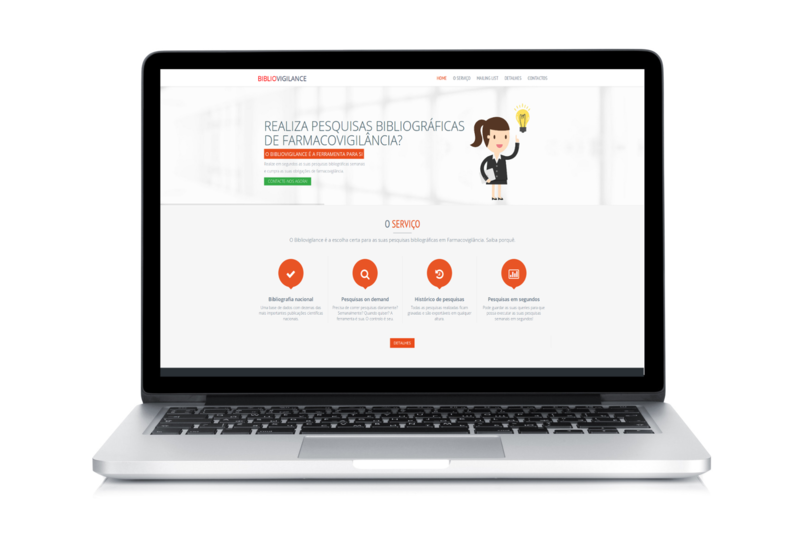 If you are a professional in this area and bibliographic searches are something you are familiar with, have a sneak peek and subscribe to get the latest news about a new service that will streamline your work. ITClinical is partnering with Instituto Superior Técnico and mentoring a master's thesis in the area of data analysis. Do you love IT? Is programming your first language? Do you want to apply your skills in solving real problems in the Pharmaceutical industry? Then we have a thesis for you! If you're a Biomedical or Informatics Engineering student and want a challenging master's thesis, email us before May 7th expressing your interest! The Clinical Trials 2013 Yearbook is now available here. 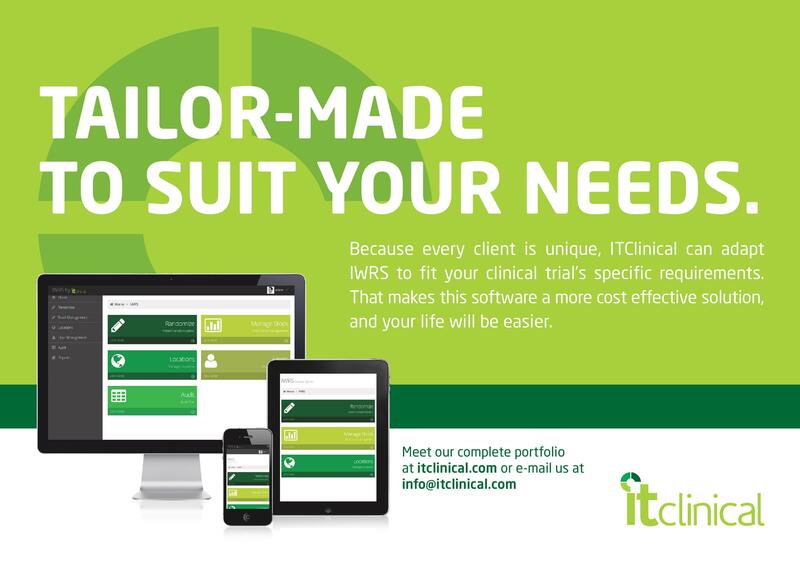 You can see ITClinical's new IWRS advertisement on page 73! We're conducting a survey to understand how pharmacovigilance professionals perform their mandatory literature searches. Can you spare 4 minutes and help us by answering a short questionnaire? We're creating this news section to keep you informed of what's trending at ITClinical. If you want to learn more about us or meet our team, come pay us a visit. The cookies and tea are on us!